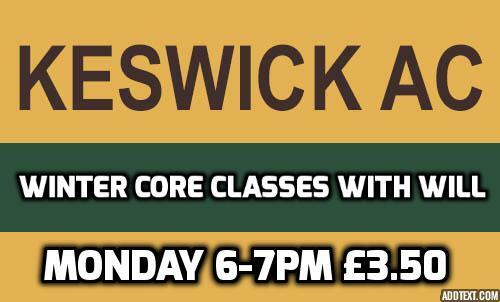 Core training will begin on Monday 29th October at Crosthwaite Rooms (next to the co-op in Keswick). Cost £3.50 a session payable on the night. Please bring a yoga mat or similar. Sessions will be lead by Will (fitness coach) when available and members of the group when not.